This September we held our first Flexofit Ghana Seminar in Accra. 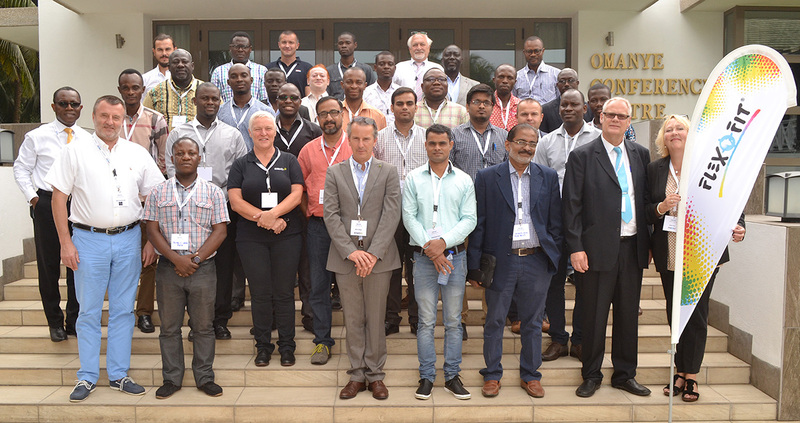 The Labadi Beach Hotel welcomed European industry experts from world leading printing industry companies and the local expert audience in the Omanye Conference Centre. We had a world class selection of speakers: Hilde van Eetvelde, Software Application Specialist and Pierre Feltgen, Sales Manager from Esko in Belgium introduced their company to the Ghanaian market. Next up Vincent Marzin, Sales Manager Germany from Tesa presented the latest company inventions. DuPont de Nemours showed their impressive advancements in the flexo printing industry. An introduction to the latest innovations in flexo printing from Chespa in Poland was offered by Tomasz Maraszek, Area Sales Manager and Marek Siekiera, CEO of Chespa. To see what Flexo & Gravure Global reported on this seminar, please click here. Also Flexpack.info covered the seminar, please see here.